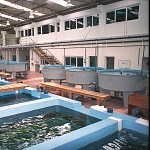 The group was established in 1989 to work on "Physiological and nutritional studies related to marine species of interest for aquaculture", and since then it has been expanded and consolidated with the signing of several cooperation agreements between both institutions and conducting numerous joint projects. The aim of the group is to contribute to the development of the culture technology for marine species, through the deep knowledge of their nutritional requirements and several physiological functions related to nutrition. 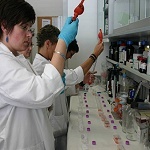 The research lines are addressed with a multidisciplinary approach, thanks to the union of facilities and scientific staff of both organisms and to the coordination of researchers specialized in different fields. The group is involved in both national and international projects, and the results of its research are disseminated through publications in internationally recognized journals and congress communications. 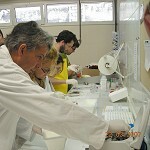 Under the supervision of the group, postgraduate students carry out their PhD thesis, master’s degree projects and other final degree projects. 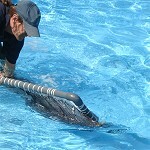 In addition, the group participates in several training activities. 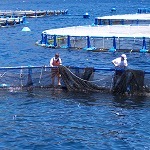 The group cooperates with universities, research institutes and commercial companies working in aquaculture in order to expand the objectives and fields of study and to transfer its research results to the aquaculture companies.